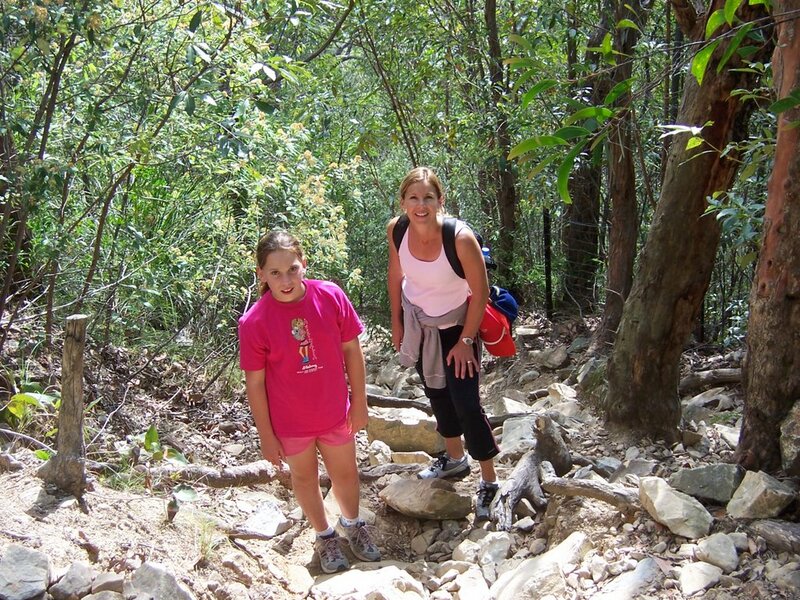 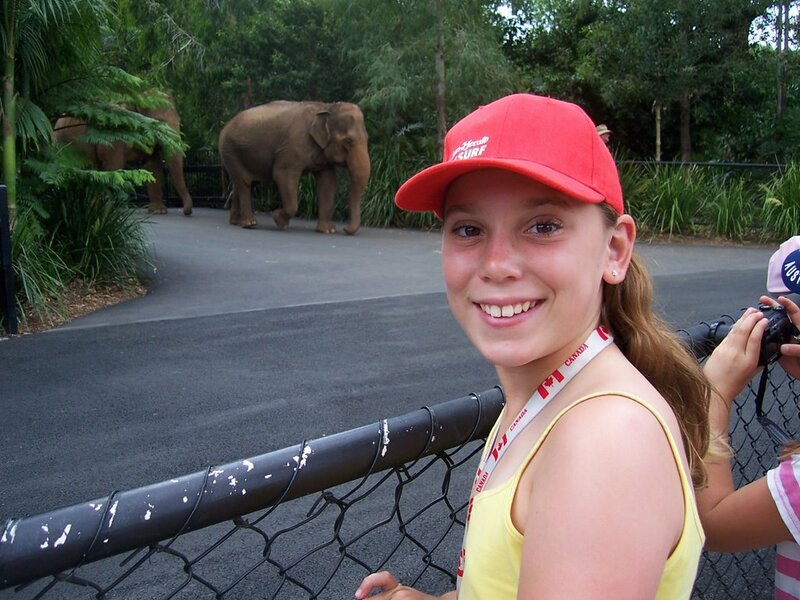 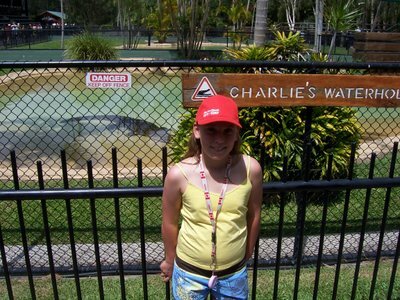 Graces' Adventures Down Under: Part 5 - Crikey!!! 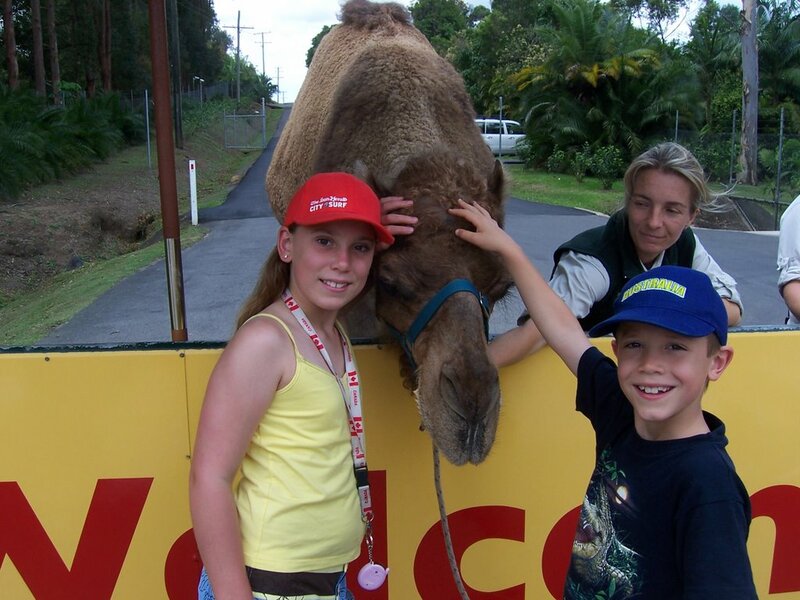 Even before we entered a friendly camel greeted the kids to the Australia Zoo. 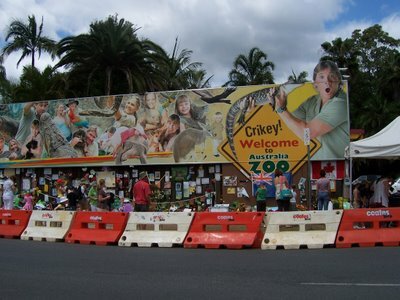 Their excitement was soon subdued though as we walked through the makeshift memorial for Australia's Crocodile Hunter, Steve Irwin. 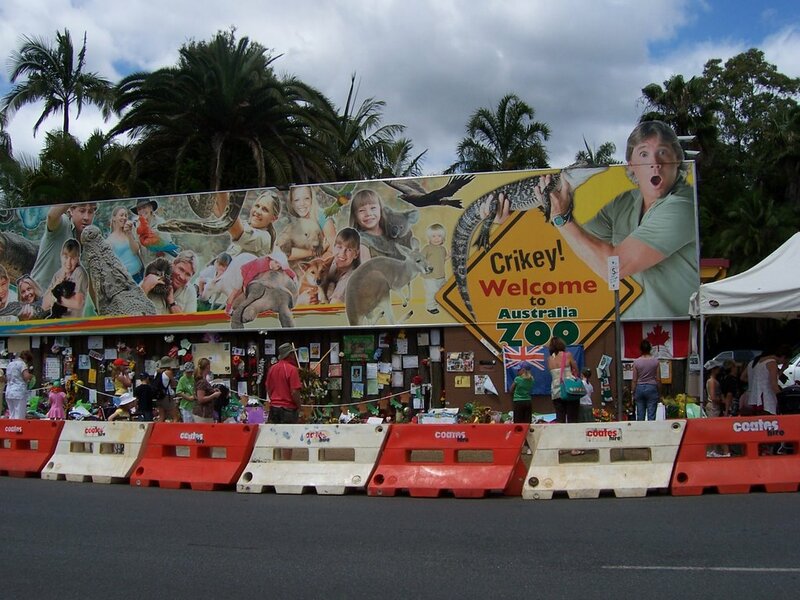 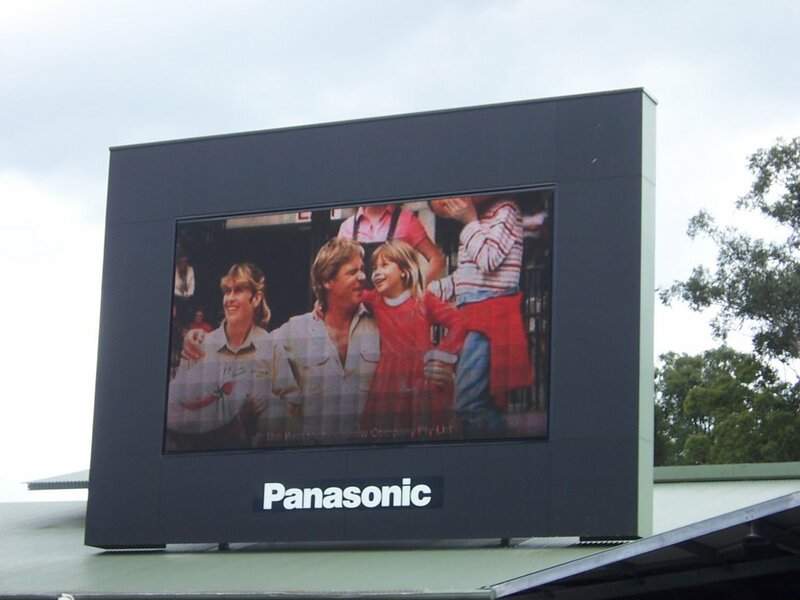 Few Australians were aware of Steve's popularity in North America and many Aussies thought he was a bit over the top and somewhat embarassing. 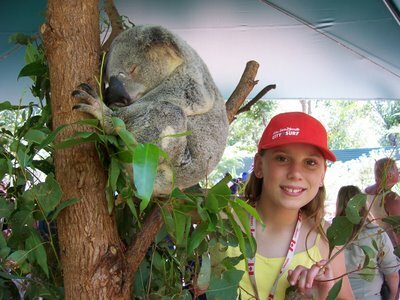 Regardless, Australians, especially the kids, said an emotional goodbye to the "Wildlife Warrier" last month and the zoo was especially saddened. Adam knew right away that this wasn't a croc but rather the American cousin, the alligator. 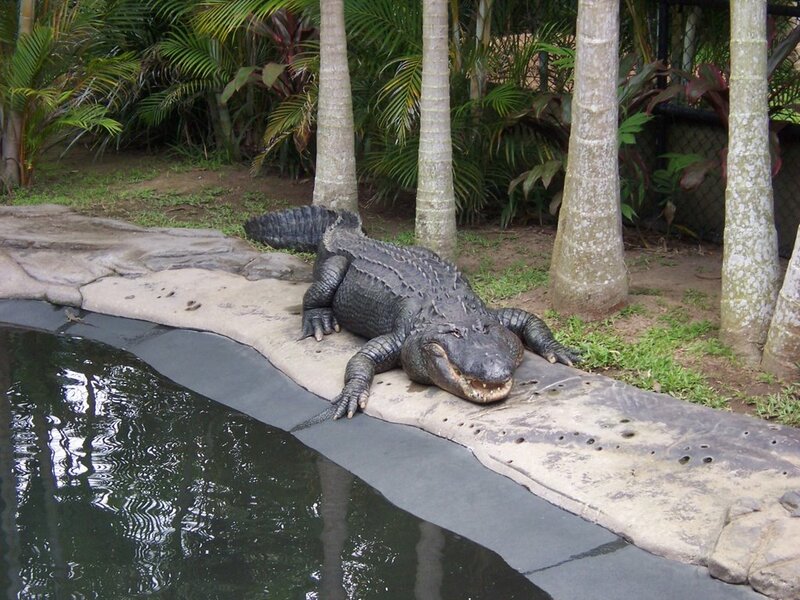 Adam explained that an alligator's teeth show outsite the mouth when closed while the croc's teeth only show when it's mouth is open. 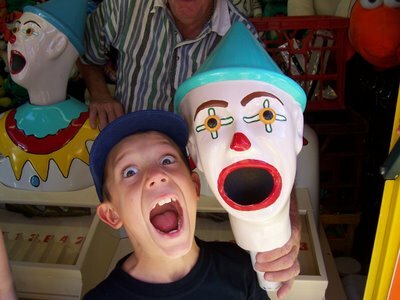 Why do kids retain so much trivia? 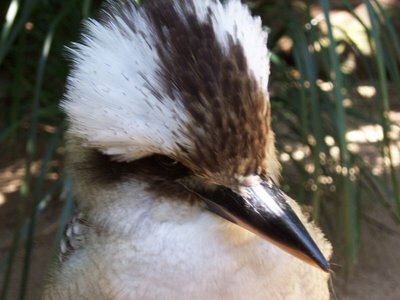 When two kookaburras talk it sounds like your in the middle of the jungle. 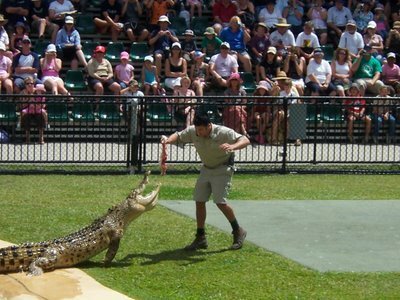 The Crocoseum is the focal point of the zoo. As a prelude to the show, they ran a 20 minute salute to Steve that left many in the stands with wet eyes - they even brought out a singer to sing a sad song just to make the tears flow even more! 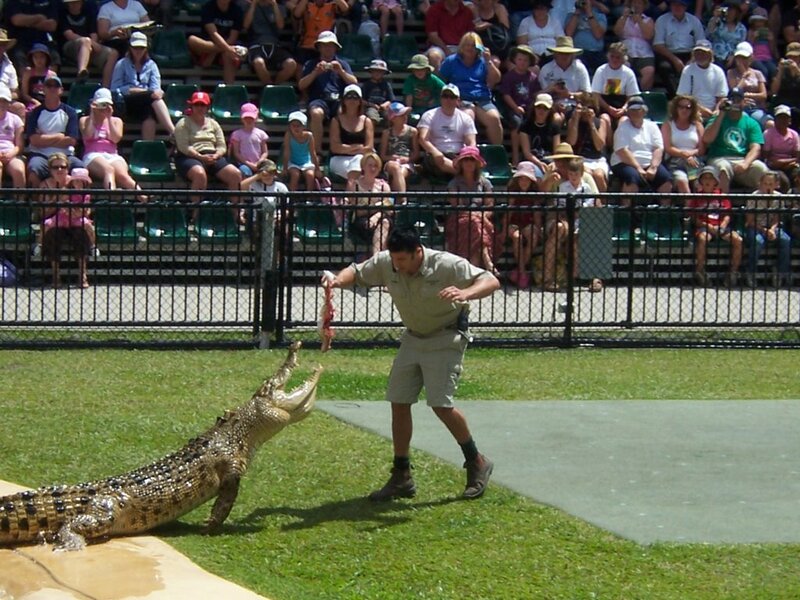 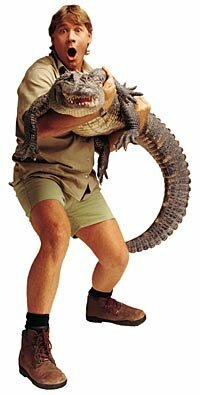 The croc/snake/bird show was not a disappointment. 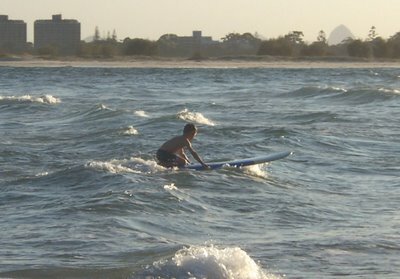 We even found some time for surfing in Coulandra. 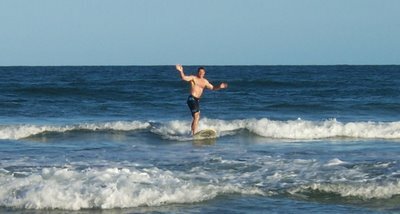 Notice the gigantic waves behind Dave!